Welcome to the NEW SermonSuite! Please use the below tips to make the site easier to use. click on the menu item "Components"
Find the "Components" menu (in red) and click on the word. When you click on it a menu will expand or drop down, which will allow you to choose the component you wish to go to. Your Account — To view your account details, click on your username in the upper right corner of screen. Once in the member area click on "profile." 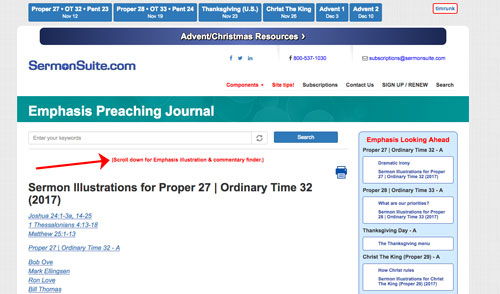 Related material — To quickly get to material related to the scriptures or lectionary or authors, simply click the links beneath the title of article. Getting to full article — To view the full article, click on the title of your selection and you'll be taken to the full content. 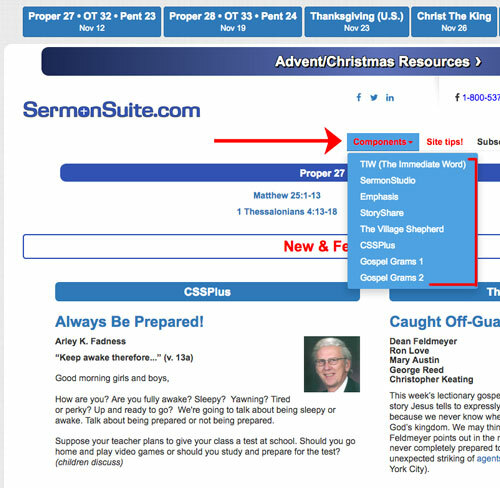 Navigate to Home page — To get to the home page, click on the "SermonSuite.com" logo at the top of the page. 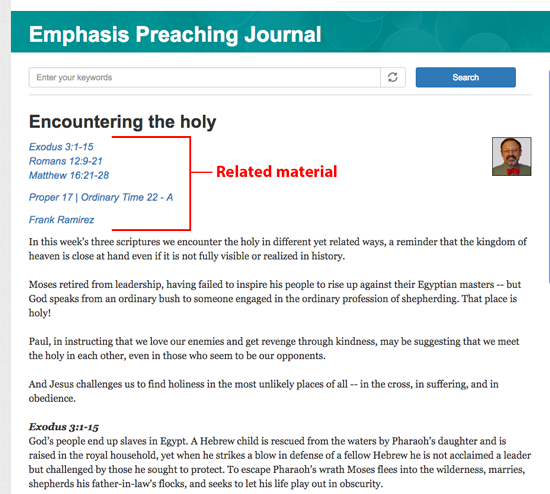 Finding Emphasis Illustrations and Commentary — Below are a couple of screenshots illustrating how to access and quickly move through illustrations and commentary in Emphasis Preaching Journal. 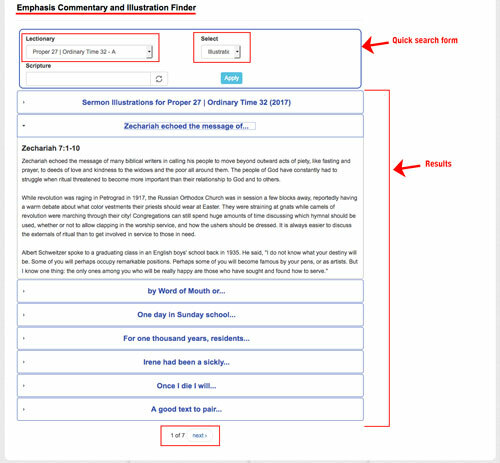 The first screenshot is showing that you need to scroll to the bottom of the page use the "Commentary and Illustration Finder". 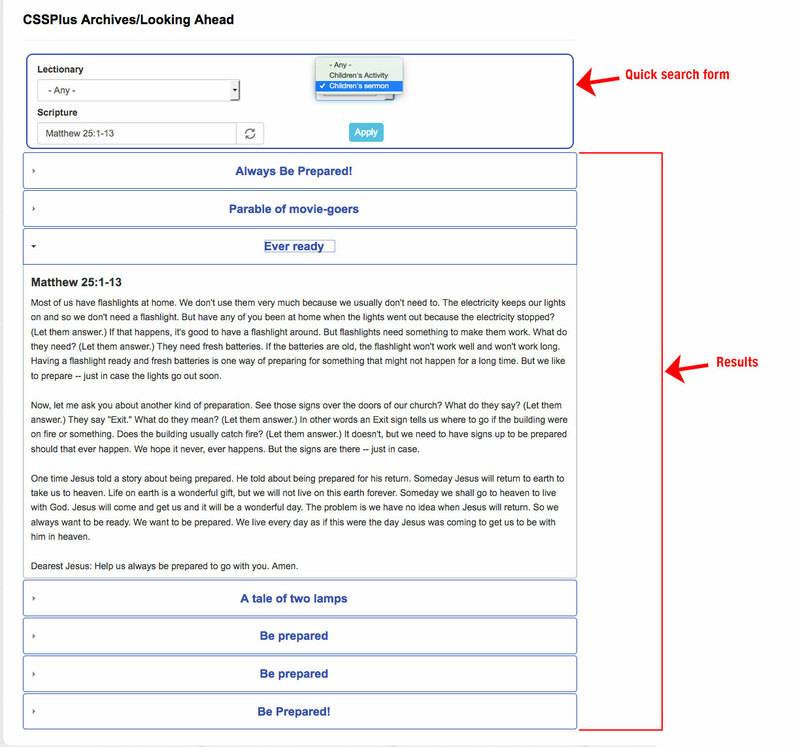 The second screenshot shows the short form used to find the content you are looking for as well as the results from the search. 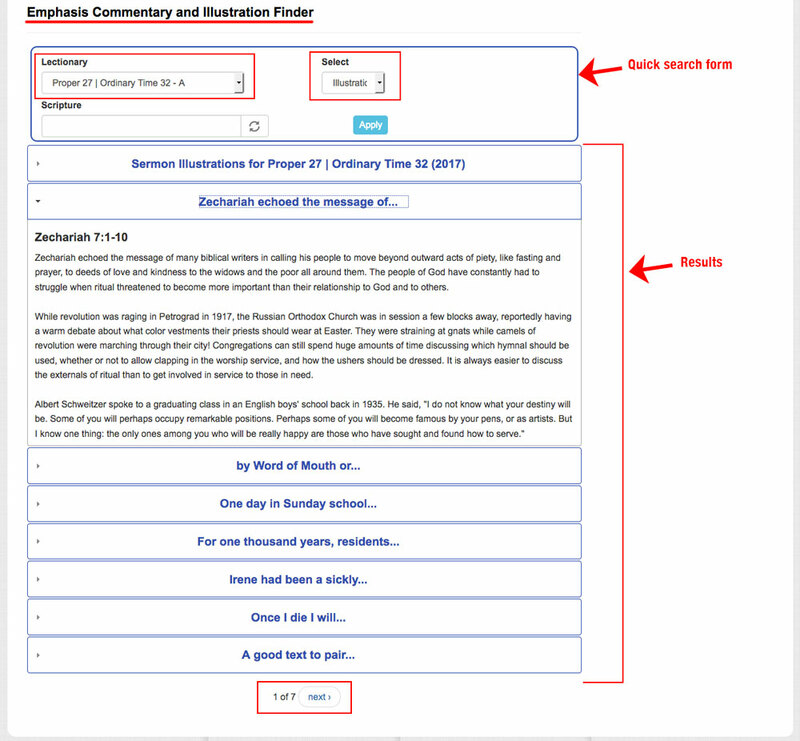 Finding CSSPlus children's sermons and activities — Below are a couple of screenshots illustrating how to access and quickly move through children's sermons and children's activities in CSSPlus. 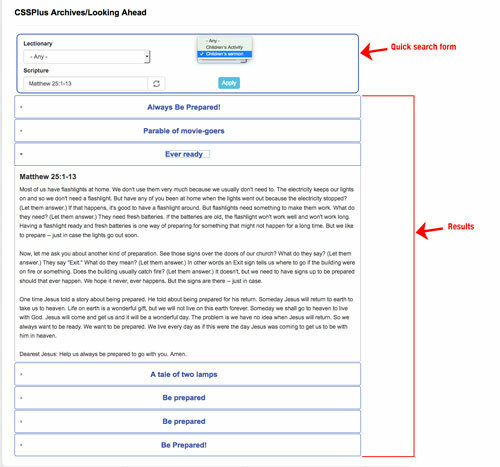 The first screenshot is showing that you need to scroll to the bottom of the page to delve into the CSSPlus archives.